The other day, Ariela (3), climbed up into the chair in my office where I have my quiet times. She opened her orange Gideon’s New Testament and ‘read’. 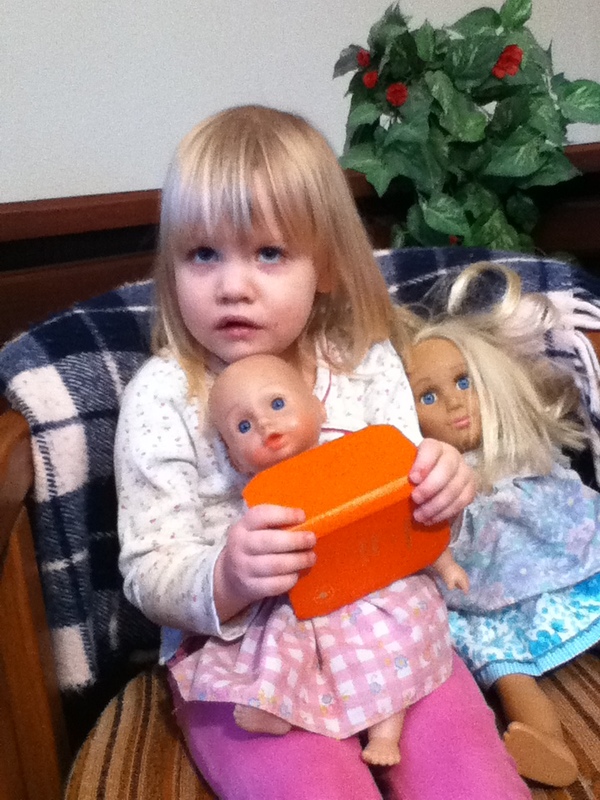 She told her dollies to be quiet while she read. So cute!